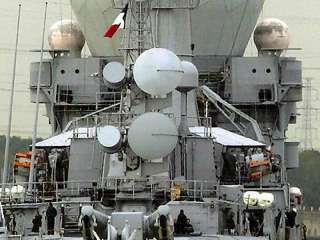 Figure 1: Two DRBR 51 radars, the rocket ramp is at the bottom of the picture. The DRBR 51 is an operating in G-Band tracking and missile guidance radar system, designed for the French Masurca surface-to-air missiles. 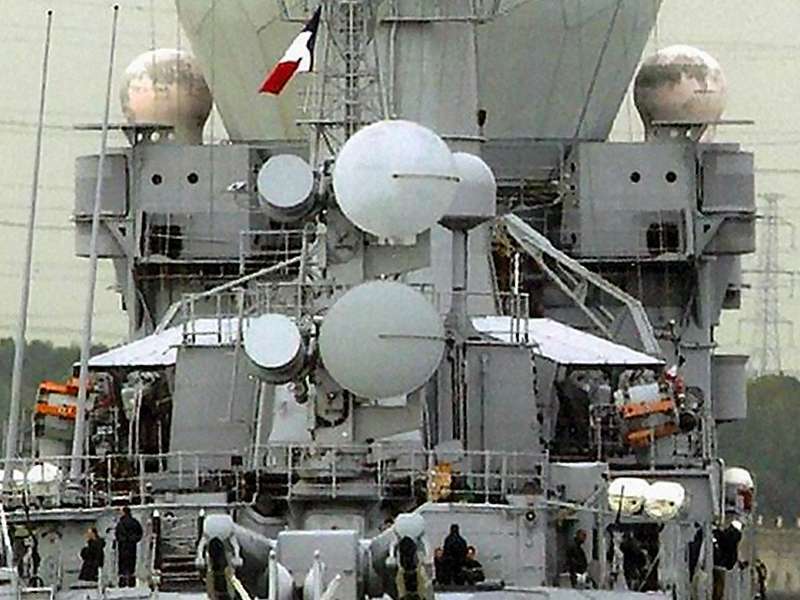 Dependig on the mode of guidance of the missiles, the radar work as target illuminator in either G-Band or I-Band. Two missiles may be simultaneously controlled. A TV camera is associated with the antenna assembly for optical tracking of low-flying targets.